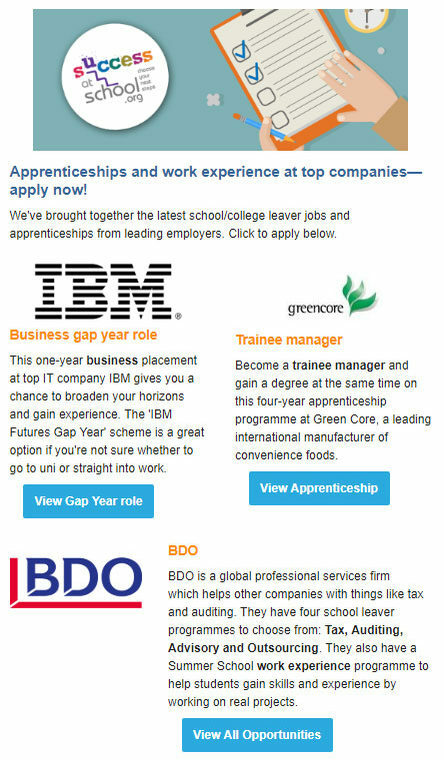 "Apprenticeships and work experience at top companies—apply now! 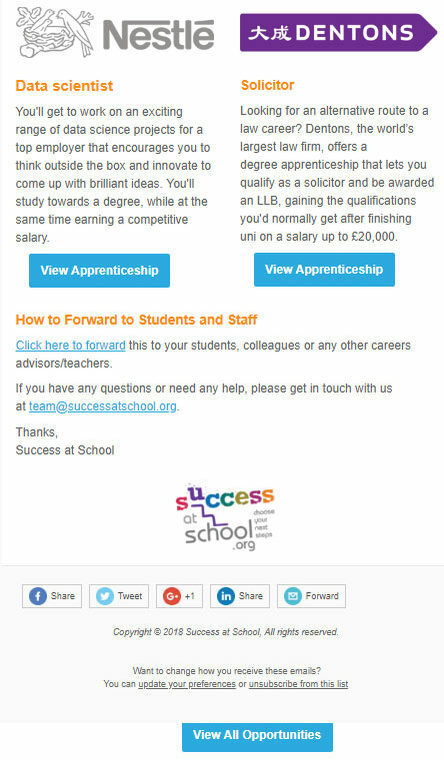 We've brought together the latest school/college leaver jobs and apprenticeships from leading employers. Click to apply below."